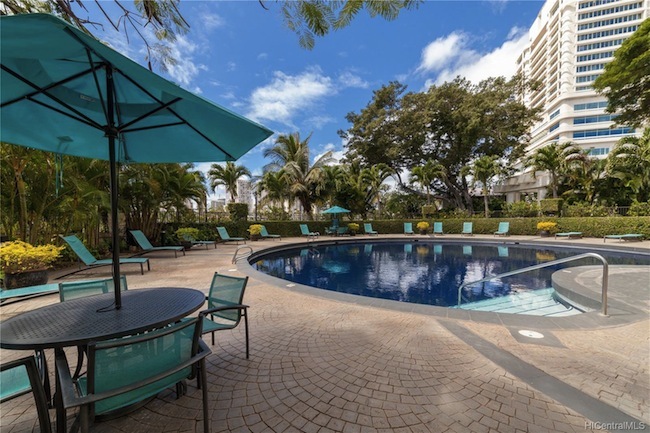 Where could you find a better place to play "Marco Polo" than the Marco Polo in Honolulu? All puns aside, this is an opportune time to get in on this building as we just found out this week Territorial Savings is lending on Marco Polo. Since the Marco Polo fire in 2017, banks haven't been lending on the building. There's only been very few trades in the building as it's been limited to cash buyers. 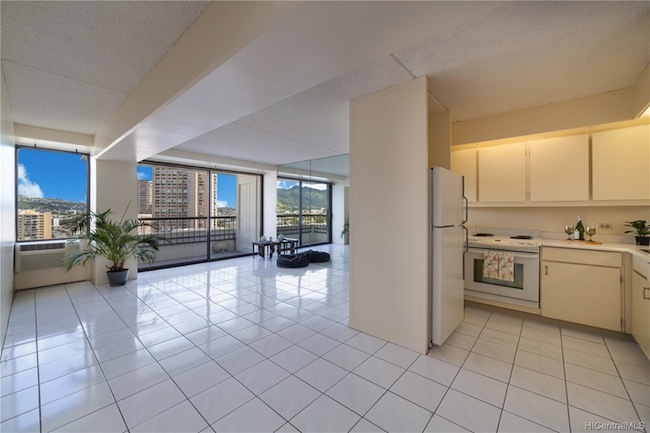 This unit is on the 22nd floor and has great mauka views towards the Koolaus. In addition, most of the units that have sold since the fire for cash sales were units that had extensive damage from the fire. Meanwhile, this unit is in great shape and was tenant occupied just until recently. One of the reasons people have been sitting on the sidelines is the fear of another fire and also not knowing the status of the what's been going on since the fire. In the Harcourts Auctions link, you can register and download the due diligence package ahead of time to see all that's been going on since. In addition, once the building is sprinklered there's a good chance the prices will start appreciating again. Just think about it, a few years down the road looking back and possibly timing the market right to buy the lowest priced condo at the Marco Polo in many, many years.... To quote the entertainer Eminem that recently performed at Aloha Stadium - Opportunity Comes Once in a Lifetime. Time will tell if that's the case here.